Harvey Nichols is looking for an "alternative to brand campaigns" after appointing TBWA\London as its creative agency without a pitch, the brand's new top marketer told Campaign. Deborah Bee, who became group marketing and creative director at the high-end retailer last week, shocked Adam & Eve/DDB by letting them know that their 17-year relationship would be coming to an end. Bee approached TBWA – Adam & Eve's Omnicom stablemate – after having worked with them in her previous role at Harrods. Campaign understands that discussions between the brand and agency have taken place within around the last two weeks. Bee said that, in her experience, the teams at TBWA always delivered "highly effective and creative work". She explained: "The agency’s new leadership team has created a sense of energy throughout the company and its joined-up approach seems a perfect fit for the challenges facing our brand at present. "Adam & Eve/DDB have created amazing, award-winning campaigns, but it’s time for a change," she added. "We are looking for an alternative to brand campaigns, for a more targeted approach." Harvey Nichols will continue to work with media agency Zenith "as and when required", Bee said, but was also "adding new weight to our internal team in terms of digital and loyalty, as well as media partnerships". Along with many other retailers at all levels of the market, Harvey Nichols has faced challenging conditions as consumer behaviour transforms. In the most recent financial year, ending in April 2017, its turnover was flat at £194m, but it made a loss of £6.7m before tax, compared to a £3m profit the previous year. The move was "not simply swapping agency", Bee said, but "fundamentally changing the way that we work as a brand, by partnering with TBWA, integrating our two teams and using all the agency resources available to us, consistently throughout the year." TBWA unveiled a new management line-up last year, with chief executive Sara Tate, chief creative officer Andy Jex and chief strategy officer Anna Vogt all starting on the same day in October. Speaking to Campaign, Tate said the win was a testament to the strength of the team, and insisted she was not daunted by the creative acclaim for Adam & Eve/DDB, which won six Grands Prix at Cannes Lions for its work for Harvey Nichols. "I know we can deliver great creative work – Andy is a world class creative director," she said. "But this is also about helping them strategically. We’ve got a really strong data capability, and we’re starting work by looking at a customer segmentation for them." One of the brand’s strengths was that "they have always been known as a disruptor – they’ve never played by fashion rules," Tate added. In terms of the media output from the partnership, Tate said that "everything was ruled in" at the moment, but suggested there would a change of emphasis, saying that "the previous print-focused campaigns may not be the solution." Bee added: "The retail landscape has changed significantly in terms of bricks and mortar, and online. 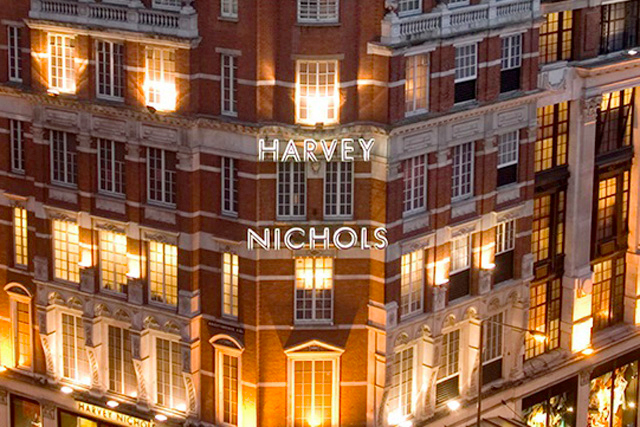 We want to re-engage with our loyal customers and excite a new generation of consumers that didn’t know Harvey Nichols in its heyday. We want to rediscover our love of shopping and turn it into an event in itself."